This entry was posted	on Monday, January 23rd, 2012 at 9:43 pm	and is filed under Podcast Episodes. You can follow any responses to this entry through the RSS 2.0 feed. You can skip to the end and leave a response. Pinging is currently not allowed. Listening to this has inspired me to go and try to find the bottle! I have fond memories of finding that bottle. Thanks for reminding me of them. Always a joy to listen to what you do – you do it so well! Great episode, had no idea this even existed. 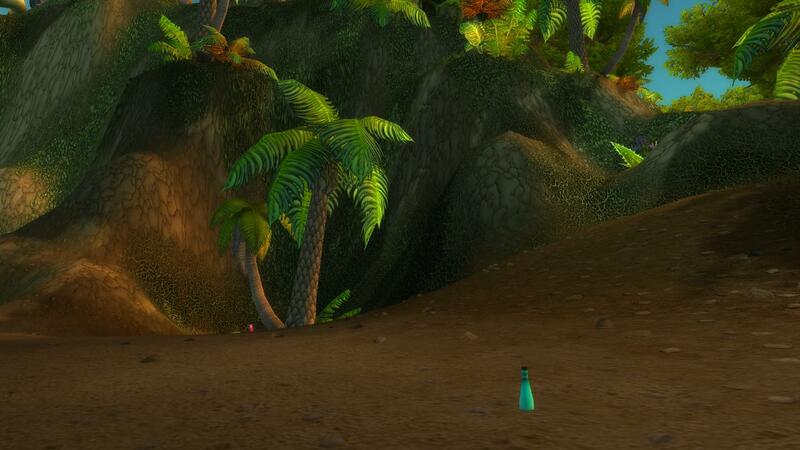 I have a couple of places in Ashenvale you might be interested in looking into! Hi, first off, great episode, had no idea about the bottle. Secondly, maybe something worth checking out if you havent done so already, I was cruising around the outside shore of winterspring and stumbled across a random patch of trees and a two part waterfall that spawns from a random rock and ends vanishing into another rock on the ground, heres the coords (77.5 , 68.5) May be something youve seen already ubt just wanted to put that out there. Thanks for the awesome videos!